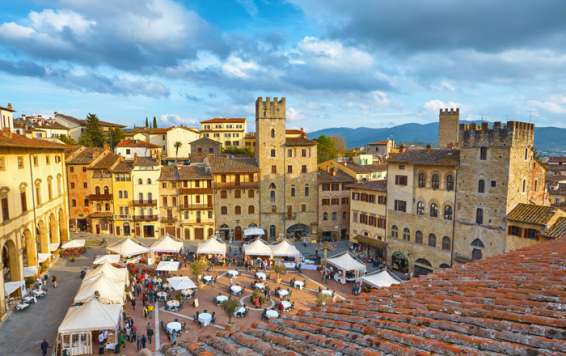 The Arno Valley is Tuscany’s cultural crossroads, with handsome towns whose museums and churches are decorated with medieval and Renaissance art — nowhere finer than at Arezzo. 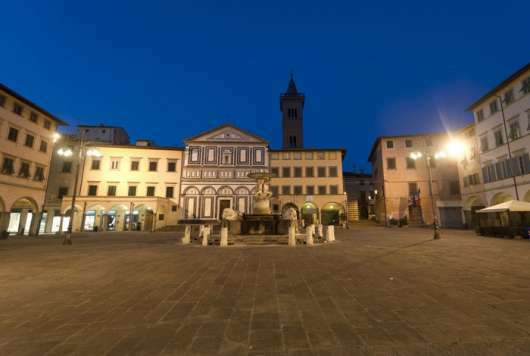 Here you'll find famous antiques markets, Vasari’s home, and Piero della Francesca’s “Legend of the True Cross” frescoes. 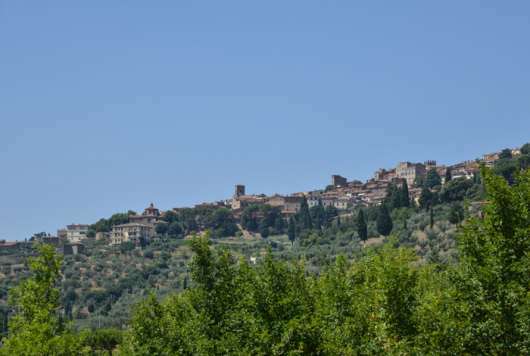 Pretty, fortified and peaceful, the village of Barberino is midway between Florence and Siena, on an outcrop above the Elsa and Pesa valleys. Its architecture and layout are typical of the Tuscan Middle Ages, with stone gates guarding entrances north and south. 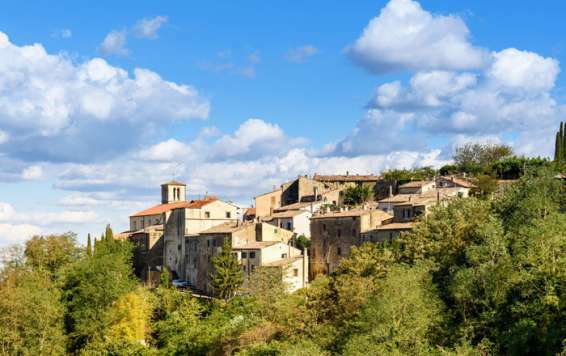 The surrounding countryside has Etruscan burial grounds and some of Tuscany’s best rustic food. 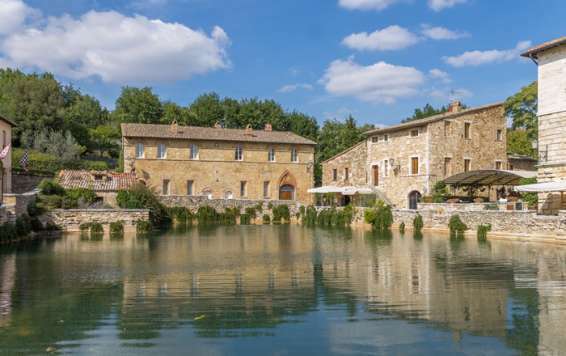 For millennia, the small hillside settlement of Bagno Vignoni has been renowned for its volcanic springs. The Romans (who else?) built baths and villas in the area. Here you'll enjoy Val d’Orcia views, the waters where Italy’s patron saint bathed, and memories of the time a Holy Roman Emperor stopped by. A hilltop town on Tuscany’s Chianti Wine Road, Castellina was an original member of the medieval Chianti League defensive alliance. It retains the look of a fortified outpost. 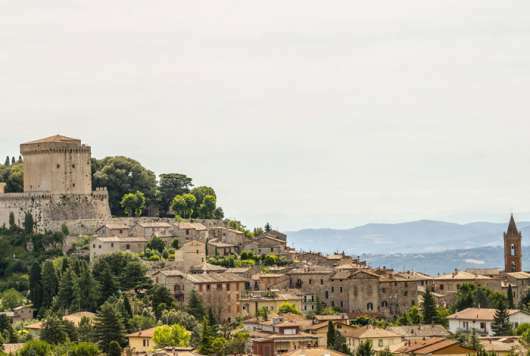 Its mighty castle is intact, but these days surrounding hills are where you’ll discover fine Tuscan food and highly regarded red wine estates. 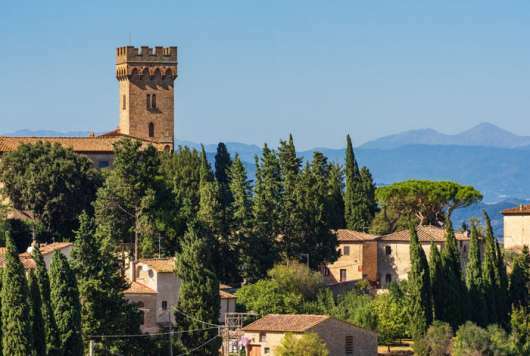 This was the home town of Giovanni Boccaccio, a rival to Dante in any list of Italy's literary giants. The old centre of Certaldo Alto retains its medieval atmosphere and layout, with a broad main street and no central square. Certaldo delicacies include Tuscany's most famous onion. Perched on a cliff beside the road to San Gimignano, Colle Val d'Elsa is famed for its craftsmanship. 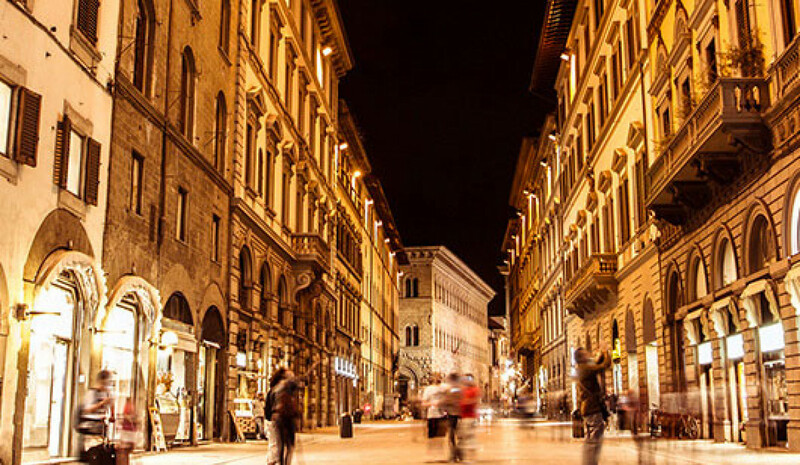 Here you can walk medieval alleys, buy from one of Tuscany’s finest modern ceramics workshops, and tour the birthplace of the legendary architect Arnolfo di Cambio, builder of Florence's Palazzo Vecchio. 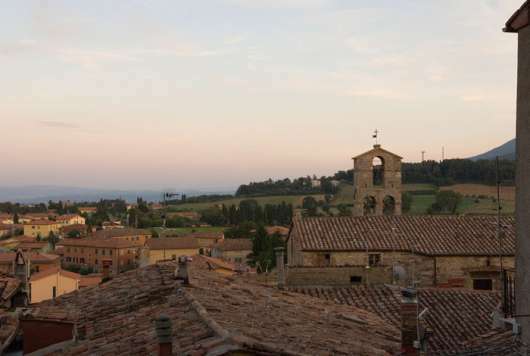 Cortona shot to fame as the star of Frances Mayes’ “Under the Tuscan Sun”, a travelogue bestseller turned Hollywood film. 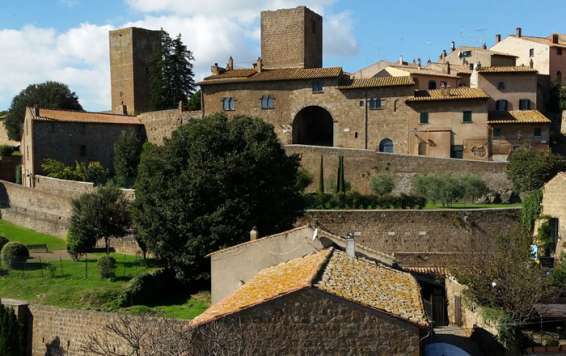 The town has an intact Medici fortress, a deserved rep for its handmade ceramics, and museums stuffed with everything from Etruscan treasure to Renaissance paintings. 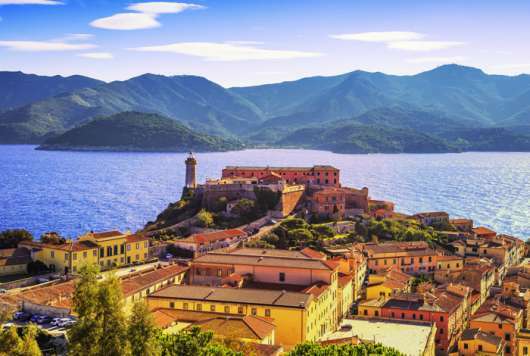 Around 10 miles off the mainland, the island of Elba has some of Tuscany’s best beaches surrounding a rocky interior covered in Mediterranean macchia vegetation. Here you'll find Napoleon’s residences from a brief time spent in exile, plus a summit cable-car ride and beautiful white sands. 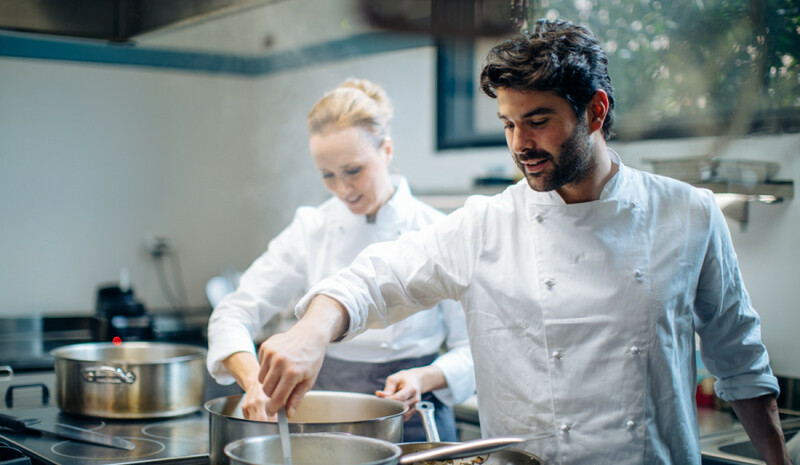 Understated and under-visited, Empoli provides a proper glimpse into the rhythm of life in small-town Tuscany. The centre has its own forgotten frescoes, and nearby are the birthplace of Renaissance genius Leonardo Da Vinci and a Medici villa notorious for a high-society murder in 1576. Florence’s elegant, leafy neighbour has been around a lot longer than the city in the Arno Valley below — it’s at least five centuries older. 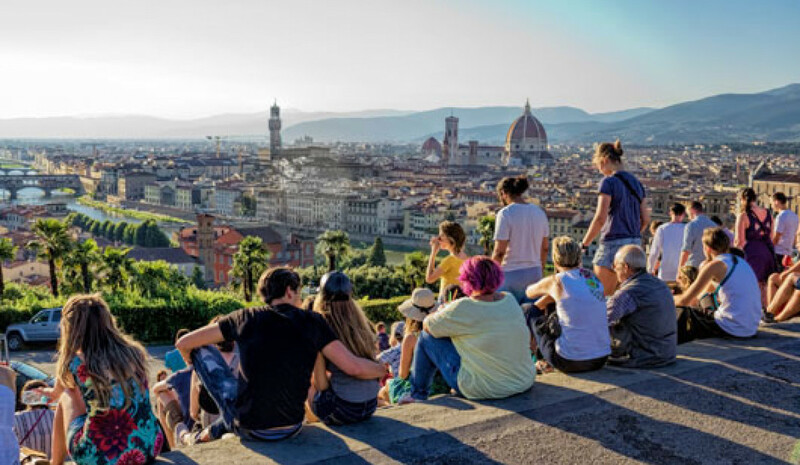 Stop by for ancient Etruscan history, Roman ruins, and panoramic walks with sublime views of Florence. You will soon see why it’s been home to Medici princes and visited by illustrious writers like Charles Dickens and Henry James. 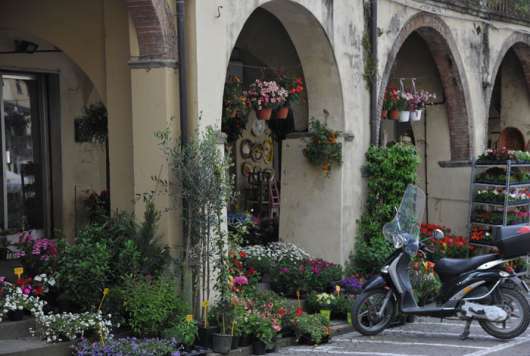 Gaiole is the main market town of south-eastern Chianti, in the hills north-east of Siena. 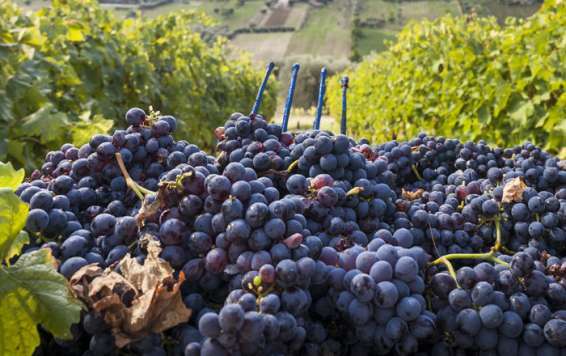 Grapes for some of Italy’s most prestigious reds grow in almost every direction. 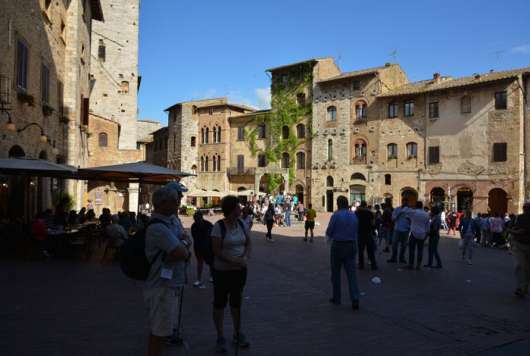 Nearby outside the centre are the "Road of Castles”, contemporary art installations, and the spiritual home of modern Chianti winemaking. Greve is surrounded by classic Chianti country — just like you’ve seen in photos, Renaissance paintings and your dreams. The best-known stop on the Chianti Road is home to fine wine by the barrel-load, memories of two historic North American explorers, and some of Tuscany’s most famous butchers. Impruneta is often the first stop on a Chianti trail for anyone heading south from Florence by bike, bus or car. This is the home of October's St. Luke’s Fair, one of Tuscany’s most important shrines devoted to the Virgin Mary, and 1,000 years of terracotta production. Southern Tuscany’s highest hill-town snakes along a ridge overlooking vineyards and the fertile Valdichiana. With its perch above a sea of Sangiovese vines, nature has been the town’s best friend. Here you'll find palace architecture by Sangallo, artisan workshops, and one of Italy’s great red wines. 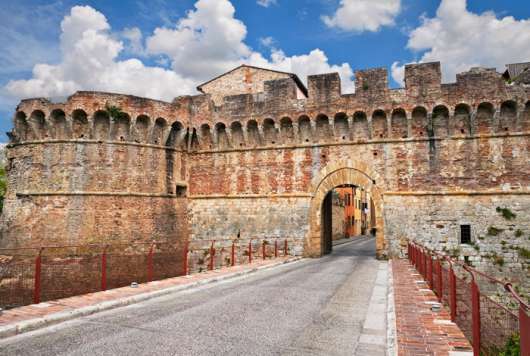 Mighty fortifications high above the old road from Siena to Rome announce your arrival at one of Tuscany’s loftiest hill-towns. 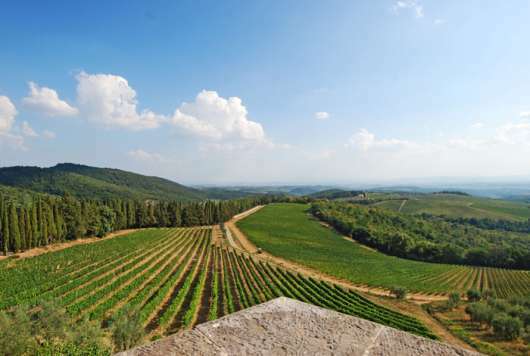 Montalcino is known around the world for its iconic red wine, Brunello di Montalcino. 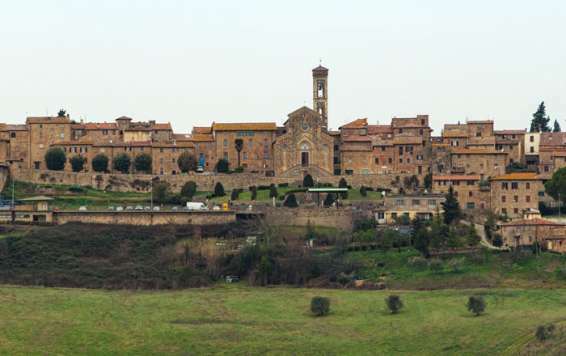 Less famous are its 12th-century abbey and an intact castle where the Sienese Republic’s last stand played out. Monteriggioni looms ominously above the main route between Florence and Siena. The crest of its hill only partly shields a complete ring of stone walls. 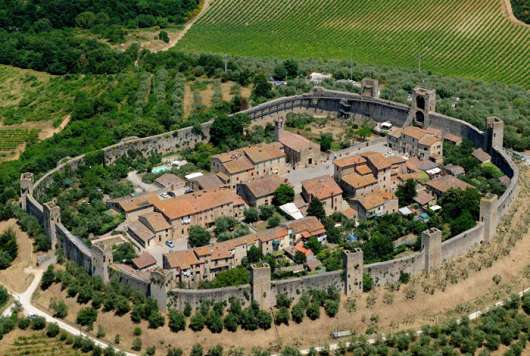 In the early 1300s, Dante compared Monteriggioni's 14 fortified towers to infernal giants. Nothing so thoroughly medieval could survive intact for so long... could it? 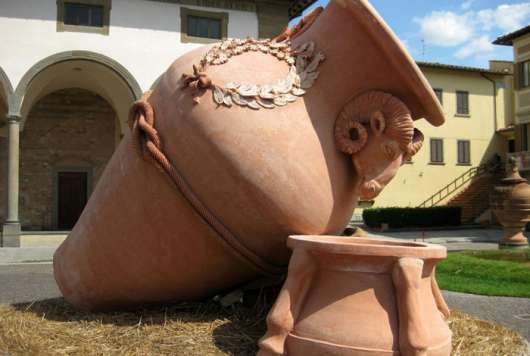 The centre of Chianti's smallest growing zone is famous for a robust red wine, Chianti Montespertoli DOCG. Once a vital Tuscan trade hub, the town has a legacy of Renaissance architecture and castles that now produce noble estate wines and oil. Tiny Pienza is such a perfect miniature of Renaissance architecture, its entire centre is recognized by UNESCO for the “new vision of urban space” it represented in the mid-1400s. 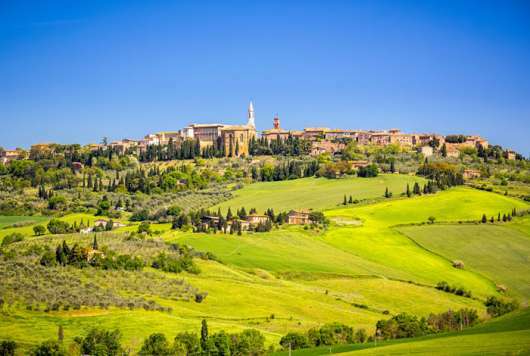 Come here for Val d’Orcia views, landscapes from literature and film, and to see Renaissance perfection as envisaged by a 15th-century pope. 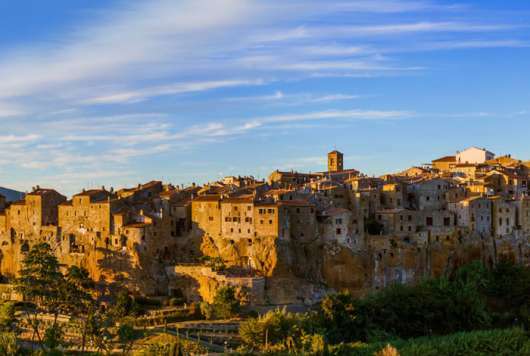 Pitigliano seems to grow from a single crag. Even if you look closely, it’s hard to tell where houses end and the bedrock begins. 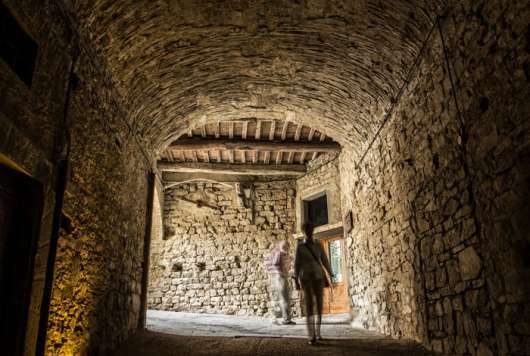 Its labyrinth of narrow streets, stone staircases and vaulted passages is unlike anywhere else in Tuscany. Come here for centuries of Jewish history and a landscape criss-crossed by mysterious Etruscan pathways. The prettiest harbour on the rugged Monte Argentario paninsula, Porto Ercole is a popular weekend destination with fashionable Romans. Its photogenic waterfront buzzes all summer. Here you'll find Spanish coastal forts, bountiful seafood, and parasol pines stretched along sandy beaches. Portofino is the jewel of Liguria’s Riviera di Levante, a simple fishing port whose impossible beauty made its name and where La Dolce Vita never ended. Beyond its multi-coloured Mediterranean harbour are medieval churches and a 10th-century abbey you can only reach on foot or by ferry. Radda is the classic Chianti town. This sunny cluster of buildings and lanes is surrounded by a rolling ocean of grape vines. 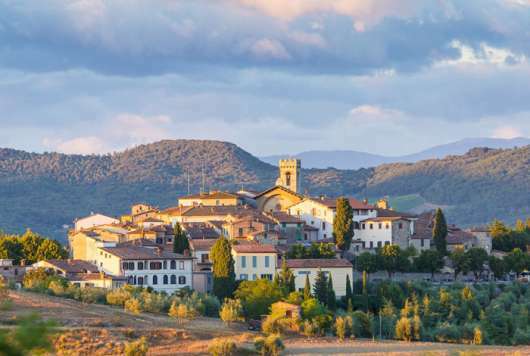 You’ll find medieval fortifications, photogenic Chianti scenery, and lots and lots of wine. 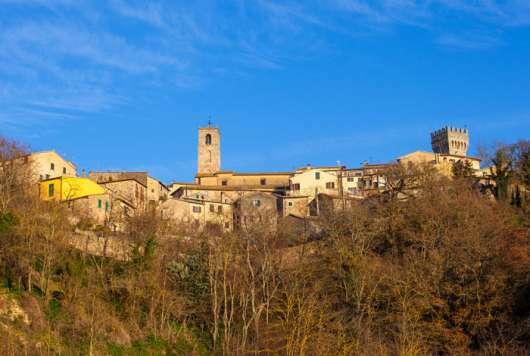 A 15-minute drive north-east to the hamlet of Volpaia is one of the prettiest in Tuscany. 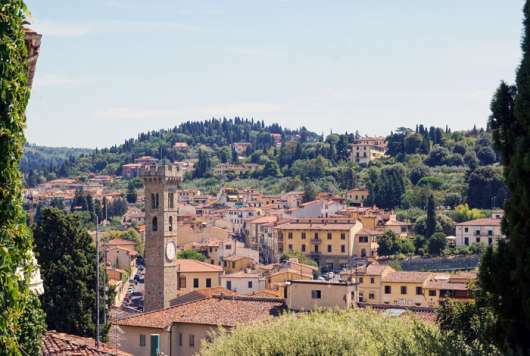 Fourteenth-century walls enclose San Casciano’s small historic centre, where churches and a museum house art treasures created when this was an important fiefdom of Florence. Visit for Pesa Valley panoramas, links with a Renaissance icon, and an important collection of medieval art. San Polo in Chianti is a peaceful place, rarely troubled by visitors to this famous region of Italy. Hills around town mark the northern reaches of the Chianti Classico wine region, and the Sangiovese vines and olive groves that accompany it. Town churches have stood for a millennium — at least. The produce of Sarteano, including its excellent olive oil, appears on tables all over central Italy. On a visit you can also see Renaissance art, a medieval castle perched on travertine, and an ancient Etruscan tomb complex, with paintings found nowhere else in Italy. 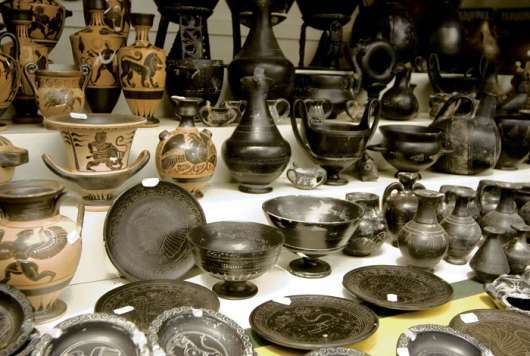 Nearby Chiusi has even more Etruscan treasures, above and below ground. It’s named after the Roman god Saturn and according to Dionysius of Halicarnassus, is the oldest “Italic” town in the peninsula. 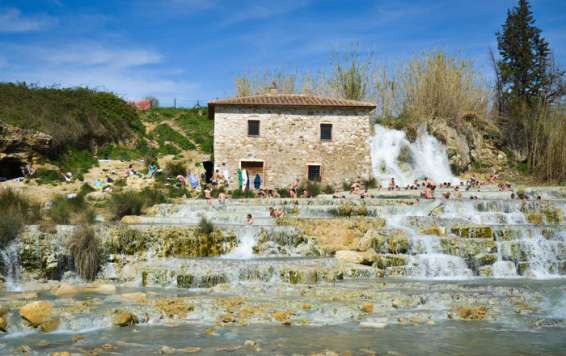 On a visit to Saturnia and Manciano, in the gentle hills of the Alta Maremma, you’ll find open-air hot springs, prehistoric archaeology, and a luxurious spa retreat. 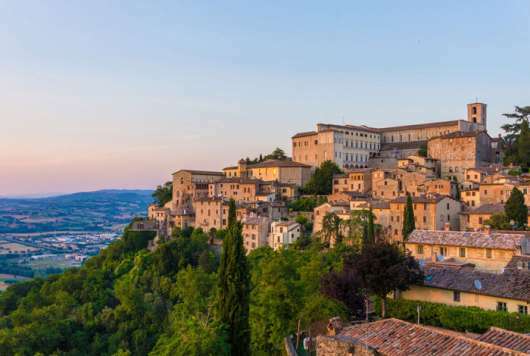 In the heart of Umbria, San Gemini is a quiet, unassuming place where seasons ebb and flow — and the Umbrian delicacies on dinner plates with them. Locals enjoy the good things in life, largely untroubled by tourism. A short journey from its tranquil streets, you'll find Europe’s tallest man-made waterfall and the ruins of a Roman resort. 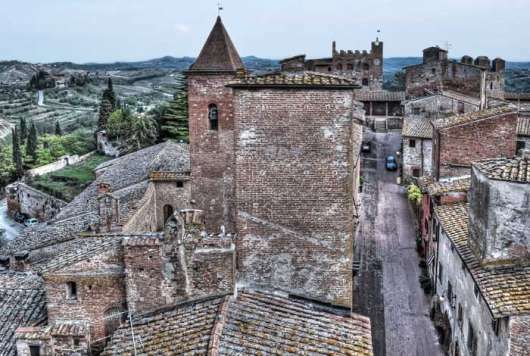 One of Italy’s most spectacular hill-towns, San Gimignano is famed for its 13 surviving medieval towers, the frescoed 15th-century interior of its Collegiate Church, and a fine white wine made from grapes picked on the surrounding hills, Vernaccia di San Gimignano. 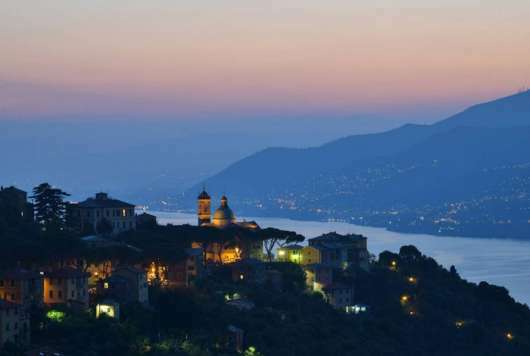 Scansano is another lofty town blessed by a hillside location. Views from its fortified medieval centre stretch for miles over woods and fertile Maremman farmland. Etruscans and Maremman home cooking are never far away. More famous is its Sangiovese wine, Morellino di Scansano. 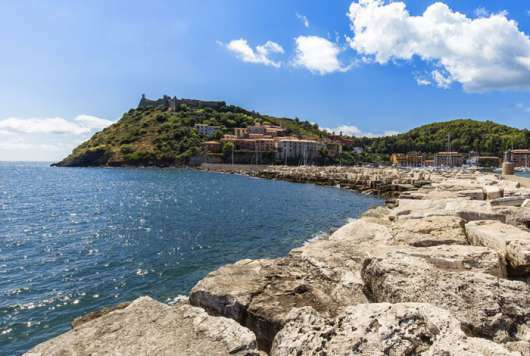 Modern Tarquinia is just a half-hour from the port of Civitavecchia, above the plains of north-western Lazio. Its fame derives from a vast necropolis of painted Etruscan tombs outside the town — the main reason D. H. Lawrence, and many since, have visited. Inside the walls are medieval towers and a unique archaeology museum. From the walls of Tuscania, you can see for miles. 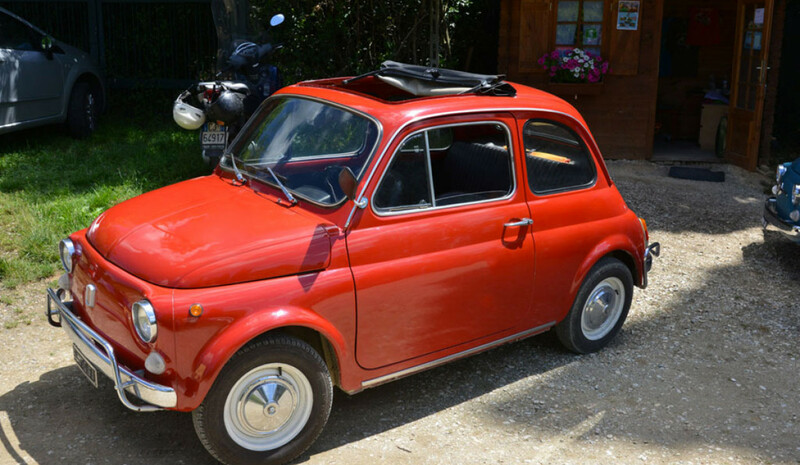 It’s a sleepy place now, and well off the beaten track in northern Lazio. But it wasn’t always so: this was a cultural hotspot during Etruscan times, and by the 6th century had its own Christian cathedral. Come to stroll its cobbled lanes, to enjoy monumental Romanesque architecture, and to explore its Etruscan necropolis. 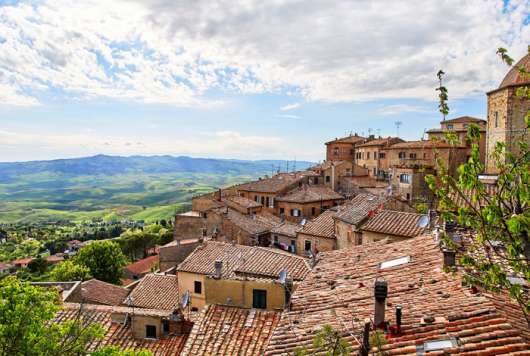 Volterra’s heyday is a distant memory: the “city” reached its peak when Etruscans were calling the shots in Tuscany. In the 1st century BC, Volterra’s walls enclosed an area almost twice as large as today’s atmospheric town. 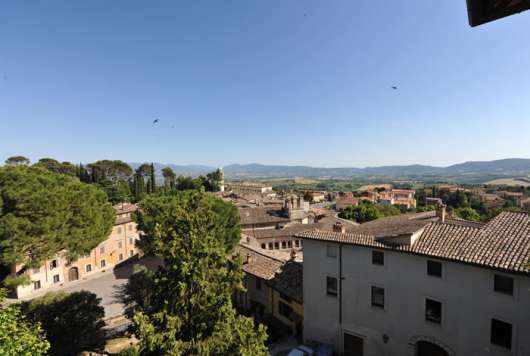 Here you’ll find surviving Etruscan walls, alabaster artisans and one of Italy’s greatest works of Mannerist painting.